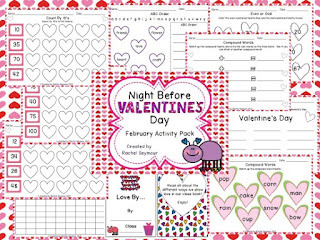 A - B - Seymour: Night Before Valentine's Day Pack....Giveaway! 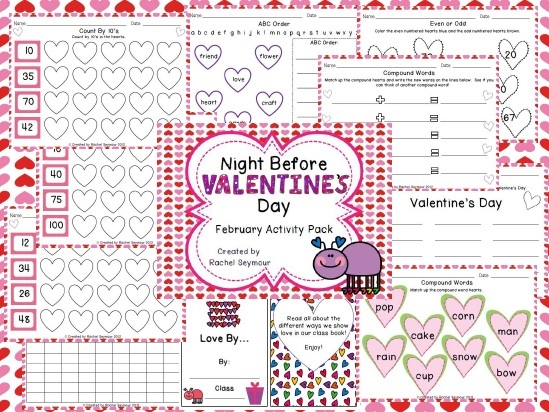 Valentine's Day is coming up quickly and I have created another activity pack to go with Natasha Wing's The Night Before Valentine's Day book. Since I'm feeling very overwhelmed with Common Core, assessments, report cards, behavior issues, conferences....etc. 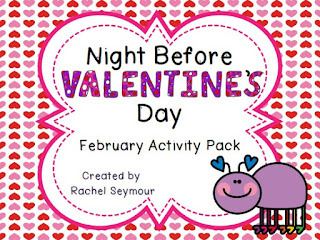 I am going to give away 5 activity packs away for *FREE* on Saturday. Hopefully this will lighten the load for a few of you! 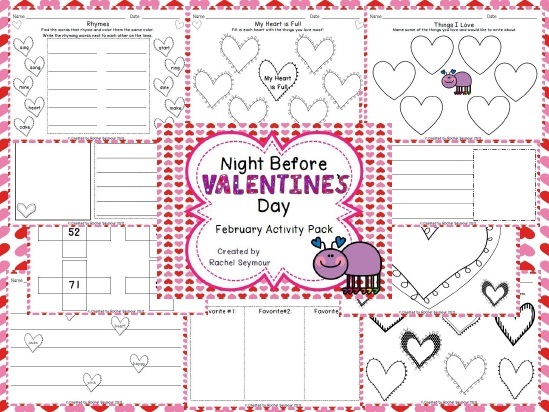 I will also be joining Tammy at Forever in First with Saturday Sayings so make sure to come back and visit! Well I can't believe I am the first one to comment. I would love this! I'm giving away a product to over at my blog. This looks great!!! 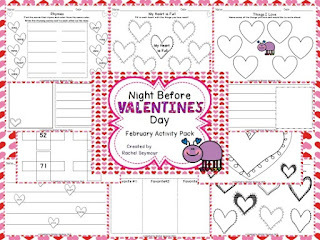 I can't believe it's almost Valentine's Day already! I would LOVE to win this cute packet! I always love looking at your creative ideas! This looks so wonderful...I would LOVE to have the packet!!! Crossing my fingers...feelin' the love:)! Looks like a great packet my class would love. I would .love to win this for my classroom. Thanks for offering it. I hope you got your report cards finished and have had a chance to relax! :o) I'd love to win a copy of this! Too much for us! Vacation anyone? So happy to find you and become your newest follower! Join my 100 Follower Ultimate Giveaway: Skype Author Visit!